“Writing is a craft you can learn,” says Roy Peter Clark. “You need tools, not rules.” In this essential guide, Clark distills decades of experience into fifty tools that writers of all kinds can use every day. You may be crafting a newspaper story or an admissions essay for college. You may be writing a technical report or drafting your first novel. You may be a student or a teacher, a poet or a critic, a columnist or a blogger. You may be preparing a PowerPoint presentation or penning a love letter. Whatever your task, you can become a more fluent and effective writer - a writer with a purpose, a plan, and a workbench full of tools. Tool 7: Fear not the long sentence. Take the reader on a journey of language and meaning. Tool 28: Put odd and interesting things next to each other. Help the reader learn from contrast. Tool 34: Write from different cinematic angles. Turn your notebook into a camera. Tool 41: Turn procrastination into rehearsal. Plan and write it first in your head. Clark works from the belief that every writer can grow - and should. Writing Tools shows the way. 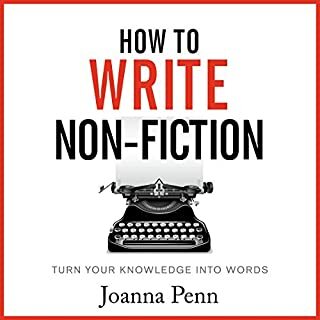 This is one of the best, most concise and useful books on writing that I have ever read...or heard, in this case! I am a documentary filmmaker and routinely write my own voiceover for my videos. Every one of these tools is relevant to my craft, not only to the writing, but to the editing of the video as well! Roy Peter Clark is not a professional voice over artist and so his delivery is sometimes a bit overly deliberate and full of pauses. But this is a very small criticism of an otherwise engaging and worthwhile audiobook. His reading style is easy enough to get used to, and may even be preferable to those who need the time to absorb the material. Roy Clark knows his stuff and I am considering purchasing one of his other audiobooks. Wonderful Wisdom for all Writers! If you want to write, and write well, this little box of treasures is for you! 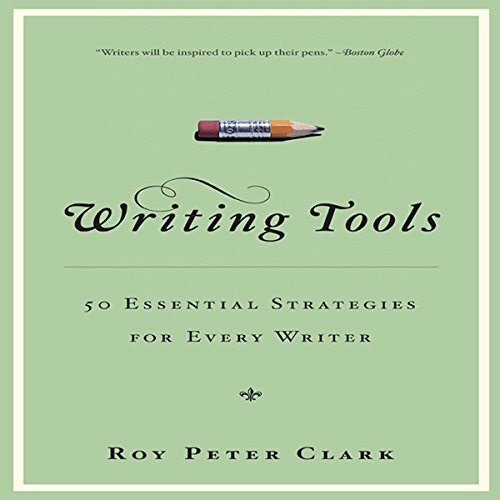 Roy Peter Clark hands you all the tools you need to improve your writing. His narration clear and to the point. 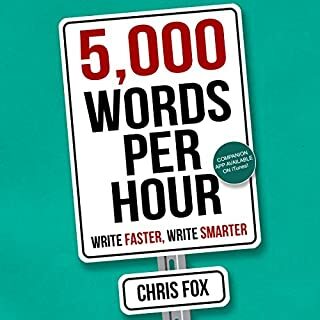 You'll listen to this again and again, as I have, and find your writing technique flourish! I listen to 50 Writing Tools often, hoping it's sound advice will soak in, automatically coming to mind every time I engage in writing. Thank you, Roy, for this great gift to writers, & for the encouragement you offer other writers through it. Shares insider awareness - w/context vs just tips. 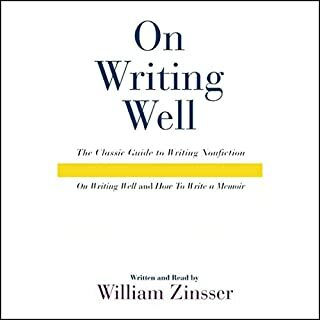 Yes, I would recommend this title (and author) to a friend - or future friend - because his experience as well as suggestions to up-level your writing are both shared. What some "critics" have objected to as unnecessary or non-useful info, I experienced as rationale shared or context provided. This has helped me generalize and apply beyond the obvious some of Roy Peter Clark's applications in actions. This book is "conversational." If a reader (listener in this Audible approach) is really seeking a check-list and "tasking" approach - there are other authors and possibly even other Roy Peter Clark titles you may prefer.For me, I'll buy his future works as I have already purchased past ones - some being preferred in print; others in audio. ALL is works for me are worth revisiting also - and in some cases via different mediums. I own this particular book, for example, in both print and audio. 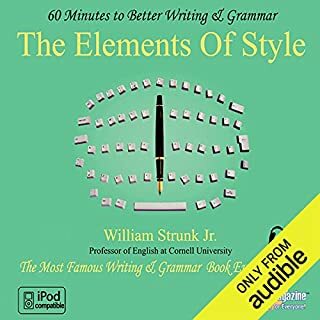 What other book might you compare Writing Tools to and why? Have you listened to any of Roy Peter Clark’s other performances before? How does this one compare? This is my first audio Roy Peter Clark experience - specifically selected as my initial sampling. This is due to the nature of the information he is sharing really being more "conversational" than that in some of his other titles. I do like his voice, though, and the confidence and understanding he imparts AS author. In this regard, I prefer author-familiarity and depth of "getting the shared concept" so this being the trump for me may translate into this: I'm not as "demanding" as some other readers or listeners may be about the professional standard of how to read aloud for those who only ARE readers, not authors, may be. A particularly memorable - and immediately applicable idea for me:Tool 34: Turn your notebook into a camera. 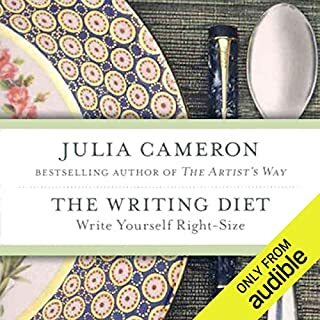 ...What this reminded me of immediately, and that I still benefit from regularly, are 2 ideas and "experiential learning" suggestions shared by Julia Cameron for writers: 1) Her creativity re-banking daily walk described in Vein of Gold. With this walk, you are in essence simply taking in reality and other beauty as a re-banking and replenishing of a daily means to add fodder to your creativity account, so to speak. 2) Her suggested "Morning Pages" exercise immediately upon waking was another in her Artist's Way book. In the latter you capture your own thoughts-stream from the unconscious while it is still present in that semi-aware state - essentially dumping out what could become barriers or distractions to the day. By giving all that a place to reside early in your day - you're much more free to go forward fresh and receptive - and more free of what so often plagues - those "voices in the head" that may badger and harass but are safely "tethered" in a home of their own in your daily Morning Page. In that odd way, this exercise when repeatedly undertaken, because your "therapeutic" decluttering of immense value. It works for almost everyone I know who diligently tries and sticks to it - just about without fail. While this means of book "reviewing" is much more requiring than any other I've experienced, it's been useful in directly reminding me of why I read so avidly and it will also spark me to read a bit differently in the future.It is also why I will commit now to regularly re-reading all of my favorite authors on the topic of writing. If someone wants to teach you how you can become a millionaire, the first question should be - “are you a millionaire?”. If the answer is no then why is this person trying to teach you to become a millionaire instead of just using his or her own advice. My main problem with this book is that it was not very engaging. Normally I will forgive a book for a few bad pages here and there. 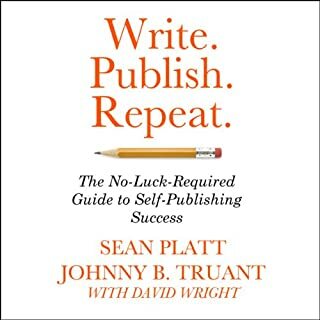 Maybe I am being harsh, but if a book is meant to teach you how to write better I expect the book to be both well written and engaging, because good writing should be engaging. This is a small selection of the 50 advice you will get if you read this book. 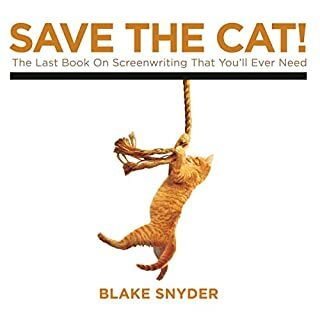 The book has helped me become a slightly better writer. Each advice is illustrated with several examples from good texts (although I did not always like the texts that were cited). However, I still prefer Steven Pinker’s The sense of style, because Pinker is, at least in my opinion a better writer. Yes, great learning material, and easy to follow and understand. What did you learn from Writing Tools that you would use in your daily life? The way in which I communicate. 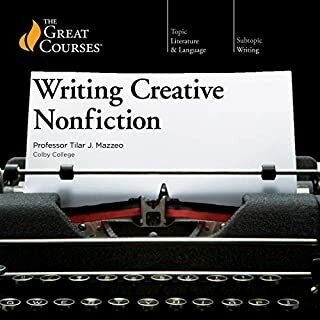 Great information for any writer is contained within this book/audiobook. 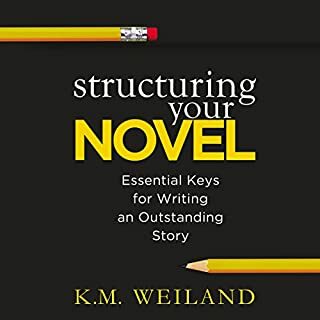 I have amassed over a hundred writing guides over the years as one can never learn enough about their craft, and this is one of my go-to books to continue to strengthen my writing skills. Rather than try to incorporate all the strategies at once, practice each one individually until you are proficient, before moving onto the next. I am listening to Writing Tools for the second time this year. Each tool is described and illustrated in a way that is quick and easy to digest. I will continue to visit this audio book until wielding these tools becomes second nature. Audible needs to explain the appropriate level for instruction books. I can browse in a bookstore and put the book down. 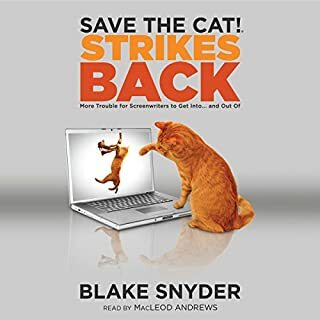 Buy it at Audible and that's that. Too many Audible book descriptions are inadequate. ...bought the paperback after finishing the audio. 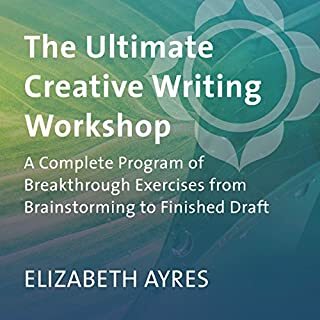 This book will be a valuable tool for my writing toolbox. 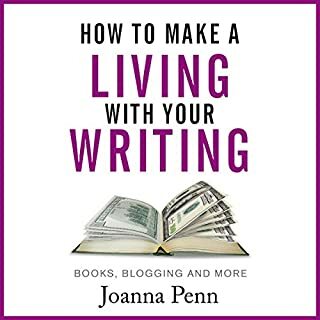 This book is more than writing tools, it is analytical writing about writing. I have been a keen reader and self-taught writer for many years, and yet it came to me almost as a surprise to be made to think this deeply and analytically about writing. Perhaps I have been too afraid to write long sentences, and too cautious with adverbs, as I take an engineer’s approach to clarity and brevity. The odd structure of the book – literally a list of 50 tools – is mitigated by two factors: dozens of interesting or witty examples, and being well-written. No kidding – the book is easy on the ear because it is well written. Roy Peter Clark leads by example. Narration: Roy is not quite as good at reading as he is at writing. Sometimes he reads jerkily as if he is not quite sure what words are coming next. Rather odd, given that he is reading his own material. That I came bac to re-listen so soon after my first listen shows there are plenty of nuggets of information in here that won't be absorbed in one go. That is an endorsement in itself. As with all books of this nature, how much you take from a book that tries to help depends on how much you are willing to give. 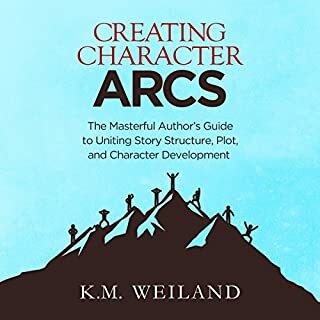 A great book for someone who is on those first steps of becoming a writer - and a good book for someone who is further along that journey. What did you like most about Writing Tools? It actually is what it says on the tin. 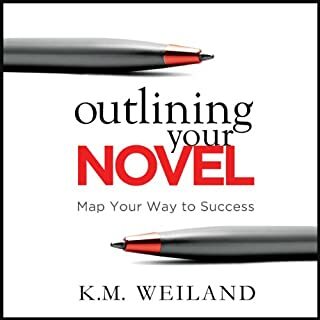 So many writing books are about motivation or overcoming writer's block. With this on the other hand you could keep yourself busy for years rewriting your work according to these tools. What other book might you compare Writing Tools to, and why? 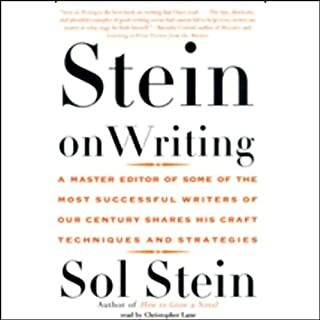 Sol Stein's work is also really concerned about the specifics of how to write better. Neither boring nor overly exciting. No the content is too tense. I would listen to one or two rules, then think about it or practice and then move on. While I enjoy other books which talk about motivation, mindset and all of that I feel that maybe sometimes we tend to neglect the craft itself. This book fills that gap. 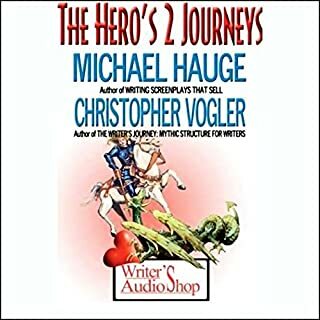 Where does Writing Tools rank among all the audiobooks you’ve listened to so far? What was one of the most memorable moments of Writing Tools? The way the author explained the subject / verb usage in the first chapter was just amazing. Which character – as performed by Roy Peter Clark – was your favourite? 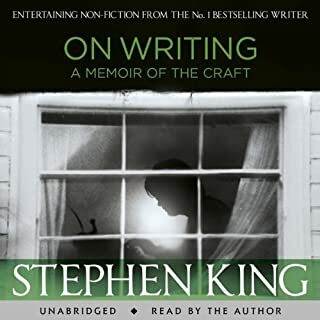 Best book on writing, performed really well.